My afib made a return appearance on of all days 9/11/2010. I had been atrial fibrillation free since about May after my catheter ablation on 2/18/2010. The afib sessions are shorter now and self terminate in about 24hrs. I have had three short spells of afib or atrial flutter since I started taking Multaq. I hope they stop all together soon or it’s ablation number two!! I always knew the cure for this would probably take a while but I had hoped it was finished… somewhat depressing. My doctor seems to think this relapse may be temporary and wants to wait and see. The depression some atrial fibrillation patients feel is real. I thank God for getting me this far and giving up is not an option. I was told afib can return. Similar to varicose veins which create their own paths, afib wrong signals find their way around the scar blocks performed in ablation surgery. I have had two so far, about 3 years apart. And one flutter ablation. 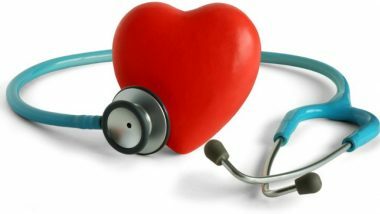 it has been about 3 years since last afib surgery….and am experiencing symptoms again. I have the best surgeons in the US. Located at St. Patricks Hospital Missoula, Mt. International Heart Institute. The procedure is simple, and seems somewhat routine now. I have been nearly 6 years free of afib after a wonderful catheter ablation procedure in Brigham and Women’s Hospital in Boston. It was joyous to be confident that it was gone and depressing to have a return, as I hated the drugs prescribed to treat it initially. One return session is not a diagnosis, but this period of rapid heartbeat reminds me so much of the first time it happened. Another ablation may be in order, though I hope not!